The Apple-made Smart Keyboard for the iPad Pro is a great way to be able to type with your iPad, but it’s arguably a little basic. If you want something truly high tech, then it’s worth considering third-party options — like the newly announced Logitech Slim Folio Pro, which is an all-in-one backlit keyboard for the 11-inch and 12.9-inch iPad Pro. The Logitech Slim Folio Pro looks a lot like the Apple Smart Keyboard in a lot of ways, with some notable differences. For starters, the keyboard sets up on your tablet in a similar way, meaning there’s not really a hinge and you will probably feel more comfortable using it on a table than on your lap, for example. 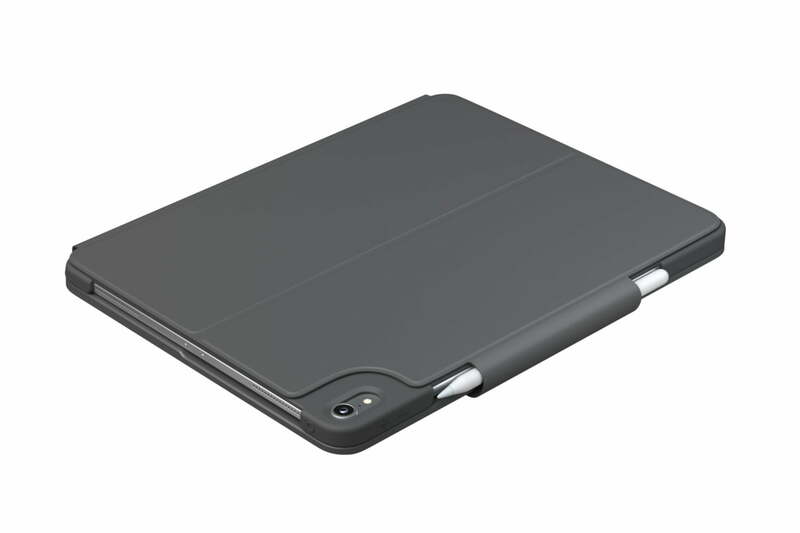 The Slim Folio Pro also doubles as what looks to be a pretty protective case and it should keep your iPad Pro safe from most bumps and scratches. 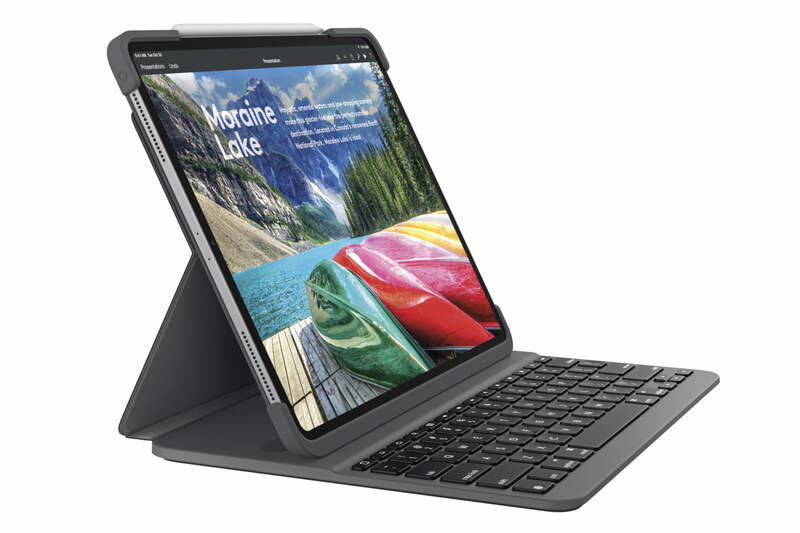 Of course, there is one major way in which the Logitech Slim Folio Pro is different from the Smart Keyboard — it connects to your iPad through Bluetooth LE rather than through the Smart Connector on the iPad. That’s a bit of a bummer — the Smart Connector makes pairing and keeping the keyboard charged a lot easier, though if you’re good at keeping things charged up, then it may not be such a big deal. According to Logitech, the keyboard is able to last three months of use on a single charge, which is helpful. Still, the Slim Folio Pro may offer a slightly better typing experience — plus it does offer the backlit keys, which is always helpful for seeing keys in the dark. The keyboard could also be a great option for those that travel a lot. Not only does it have a keyboard, but it also has a little slot for the Apple Pencil, so if you’re an avid Pencil user, this keyboard might be for you. Last but not least, the keyboard has a row of iOS shortcut keys, which means you’ll be able to easily control your iPad without having to reach for the screen while you’re typing. The Logitech Slim Folio Pro is available in select retail stores for $120 for the 11-inch version and $130 for the 12.9-inch version. You can also get it straight from the Logitech website.